Identifying the dizzying array of federal public land in the United States can be difficult. You may think you know what a national park looks like—snapshots of the dawn of creation, like Yosemite’s towering granite monoliths or the bulbous glaciers of Mt. Rainier. But there are also national park units in megalopolises like San Diego and Washington, D.C., walkable from laundromats and bus stops. A national forest may conjure images of ridgeline after ridgeline of pines, or winding roads overhung by broadleaf forests back East. Again, though, you’ll find a national forest plot—demarcated by a little yellow sign nailed to a tree with the Yogi Bear–font national forest logo—on an empty lot about 40 yards away from a Subway sandwich shop in Incline Village, flanked on either side by a house and hospital. The list gets fuzzier after that, as there’s no encompassing description for Bureau of Land Management parcels, national wildlife refuges, national lakeshores and national seashores. Wildernesses are generally roadless tracts of land, devoid of settlements larger than a few undeveloped campsites in close proximity to one another. There are five in the immediate vicinity of Lake Tahoe—Mt. Rose, Granite Chief, Desolation, Mokelumne and Carson-Iceberg. 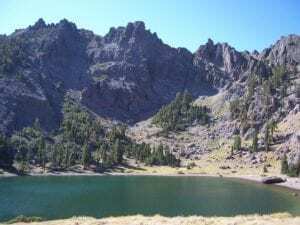 They provide quiet seclusion, a place to take in sunrises at 10,000 feet, to admire boulder-rimmed lakes and to enjoy mountainsides filled with wildflowers. They’re a refuge from motors and “cabins” with plasma-screen TVs lighting up the forest around them at night. They are fantastic places to climb, fish, hike, backpack, horseback ride, ski, snowboard and trail run. From the time Johnson put pen to paper on September 3, 1964—about five months after Zahinser died and about eight years after the bill was first proposed—wilderness areas have sealed off parts of Tahoe from the intrusions of man’s permanent developments. Let’s find out more about them. Just as the original Wilderness Act in 1964 faced fierce opposition from the usual suspects in the West—timbermen, real estate developers, ranchers who wanted unfettered grazing, and energy developers with hopes of using the land for oil derricks and mines—so, too, did the California Wilderness Act of 1984. A piece of federal legislation backed by Phillip Burton (D-San Francisco), the Wilderness Act set aside about 1.8 million acres of new wilderness in California, including Carson-Iceberg, which is named for early explorer Kit Carson and a unique granite outcropping on its southern side that resembles an iceberg. Opposing Burton in Congress was Norman D. Shumway (R-Stockton), who at the time represented a district that included most of the region around Lake Tahoe. Shumway, an ardent conservative, put up an extensive fight against Burton until Burton’s death in 1983, and then against his successors who favored the legislation. “Excessive preservation is not conservation. It is a trendy fantasy that public lands are sacred only to the extent they escape human beings,” Shumway told the New York Times in September 1984, shortly before the bill went to a vote. While Shumway lost his fight against the bill—Ronald Reagan signed it into law over the objections of his fellow California Republicans—his wrangling did produce a bit of compromise, wherein limited livestock grazing is permitted inside parts of Carson-Iceberg. Today the wilderness is a favorite of equestrians, who ride along wildflower-lined trails crisscrossed with creeks. Location: Southeast of Lake Tahoe, south of Ebbetts Pass and north of Sonora Pass. 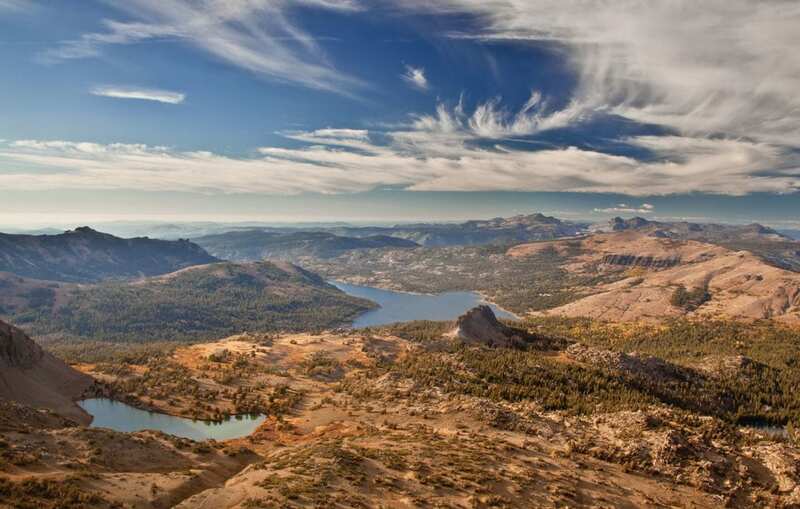 Split evenly between the Stanislaus and Humboldt-Toiyabe national forests. Established: As part of the California Wilderness Act of 1984. Recreation opportunities: Backpacking, fishing, hiking, horseback riding. Permits: Overnight permits are required, but available for free on a no-quota system. 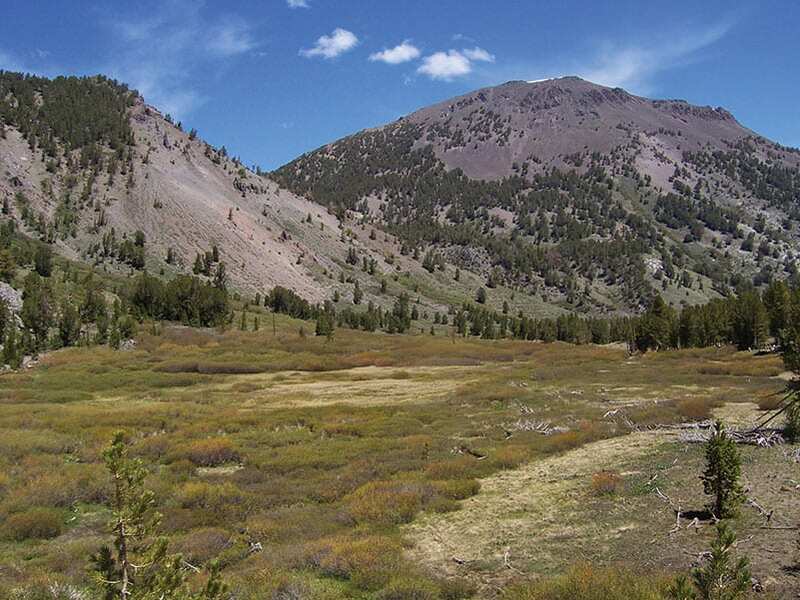 Contact the Stanislaus National Forest at (209) 965-3434 for permits on the western side of the wilderness, and the Humboldt-Toiyabe National Forest at (775) 882-2766 for permits on eastern side. The Sierra Nevada isn’t short on bizarre place names—Angels Camp shares the range with Hell Hole Reservoir, You Bet and Cool. 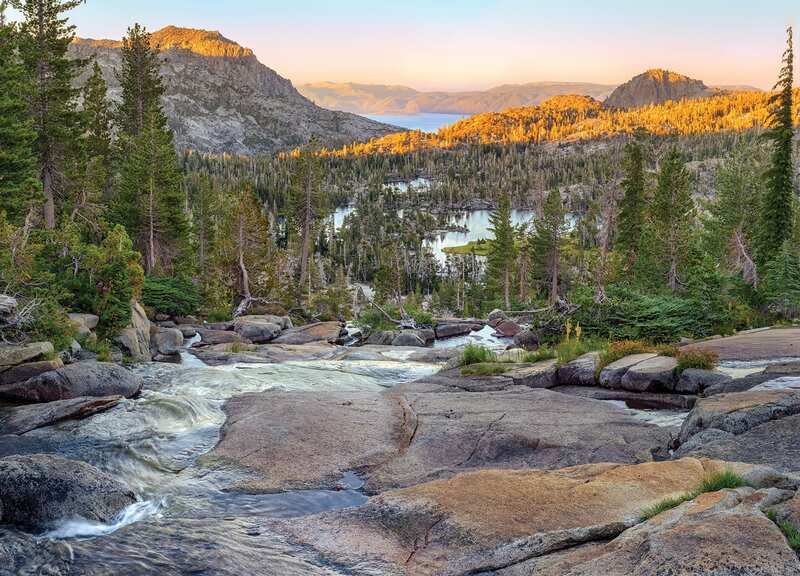 But few instantly evoke as much soul-alerting dread as Desolation Wilderness, a glorious jumble of granite boulders, craggy peaks and turquoise lakes set just southwest of Emerald Bay. The trick to really enjoying Desolation is to backpack in as far as humanly possible to escape, well, other humans. Gigantic old-growth trees, too far apart to have been worth the trouble of old timber barons, still grow in the expanse and draw a hearty helping of visitors in the summer months. Situated beneath the Crystal Range—in reality, a Sierra Nevada subrange—Desolation invites explorers to get lost on multiday trips into its depths. “I always joke that my favorite lake is the last one I have visited,” Mullen says. “All of them, the 89 named lakes I photographed, and the numerous unnamed lakes I visited in the course of my two-year project to photograph all the named lakes in the wilderness area, are unique and special in their own ways. Location: Southwest of Lake Tahoe, north of U.S. Route 50 and south of Meeks Bay. 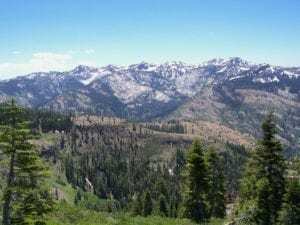 Split between the Eldorado National Forest and Lake Tahoe Basin Management Unit. Established: Formally in 1969, though special federal protections began in 1931 with the designation of the Desolation Valley Primitive Area. Recreation opportunities: Backpacking, fishing, hiking, paddleboarding, skiing and snowboarding. Permits: Due to its popularity, access to Desolation Wilderness is tightly controlled via a quota system. Overnight permits are required throughout the wilderness area, and day-use permits are required in most of it. Most permits are available on a reservation basis, though a few are available first-come, first-serve. Reservations can be made up to six months in advance via the recreation.gov website, or by phone at (530) 664-6048, (530) 543-2674 or (530) 543-2600. It’s easy to lay eyes on Granite Chief Wilderness. Just look west from the highest points in Squaw Valley and Alpine Meadows on your next ski trip. 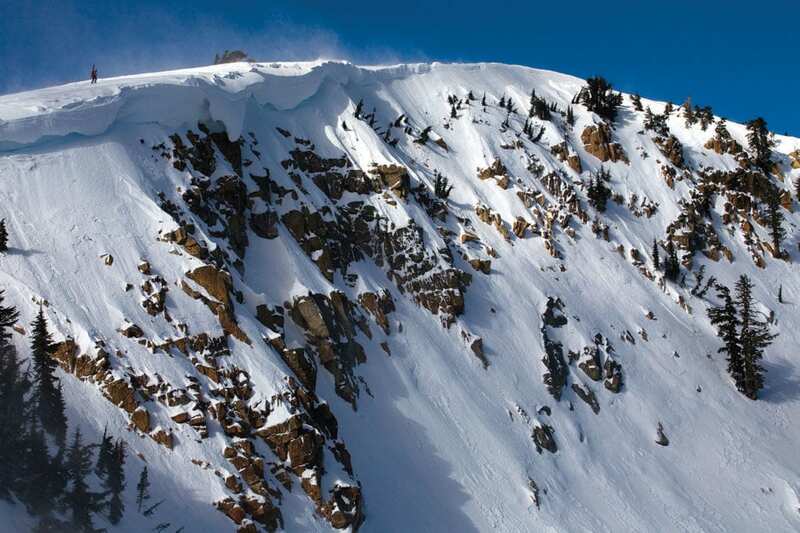 That rocky, snow-covered playground is Granite Chief, a backcountry paradise for skiers and snowboarders. Accessing the terrain come winter is not so easy, however. With closed boundaries from the ski resorts to the wilderness, skiers and snowboarders are forced into comically long approaches from Barker Pass, some 10 miles from the entry into the area. Snowmobiles—forbidden in the wilderness, but permitted up to its borders—provide quicker access to an array of backcountry terrain where you aren’t likely to spot another soul. Favorite drop-in zones include National Geographic Bowl and Mount Mildred. Come summer, the wilderness is comparatively alive with visitors, who trek in along the Pacific Crest Trail and enjoy big granite (what else?) bowls and a clear shot of stunning terrain between Sugar Bowl and Squaw Valley. Location: West of Lake Tahoe, entirely within the Tahoe National Forest. Recreation opportunities: Backpacking, camping, climbing, hiking, skiing and snowboarding. Mt. Rose is one of Western Nevada’s most dominant physical features, clearly visible from Lake Tahoe, Reno, Washoe Valley and Geiger Grade. As the tallest mountain in the Carson Range, Mt. Rose is the namesake for everything from ski areas to highways and subdivisions. The wilderness was designated in 1989—again, over the objections of the local legislator, this time Barbara Vuconovich (R-Reno)—and today is considered something of a mecca for trail running. With access points from Reno and the unincorporated residential area of Galena, as well as from the summit of the Mt. Rose Highway, there are multiple approaches to hike or run to the 10,776-foot peak. With lots of exposed terrain, be sure to bring plenty of water and sunscreen. While most people hike the mountain from the Mt. Rose summit trail—a 10-mile out-and-back with nearly 1,800 feet of elevation gain—others, like Reynolds, prefer a more challenging run to the top. Starting from the Galena Creek Visitor Center, runners or hikers can take on a 12.2-mile loop to the top, gaining 4,616 feet in a version of “fun” that may not be for everyone. “The long, steep, and rugged route to the top of Rose provides a nice challenge, plenty of elevation gain, and excellent views,” Reynolds says. Location: North of Lake Tahoe, west of the Mt. Rose Highway. Split between the Lake Tahoe Basin Management Unit and Humboldt-Toiyabe National Forest. Established: As part of the Nevada Wilderness Protection Act of 1989. Recreation opportunities: Backpacking, hiking, skiing and snowboarding. 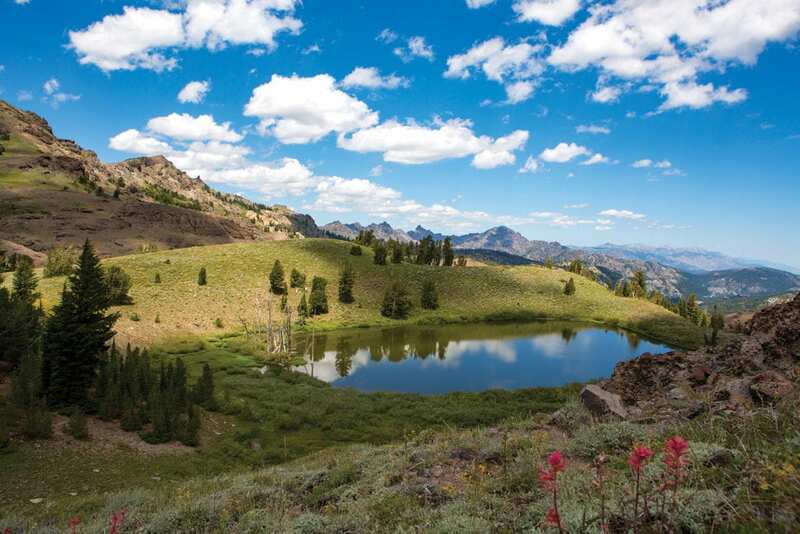 There are few finer stretches of trail for wildflower-spotting in the Sierra than the 2.6 miles between Carson Pass (California State Route 88) and Lake Winnemucca in the Mokelumne Wilderness. From the scarlet-orange of giant Indian paintbrush to the cool lavender of lupine and the bright yellow of mule’s ears, Mokelumne Wilderness is a feast for the eyes. Pack the camera for the trip toward Winnemucca and, if the weather is warm, pack a swimsuit, too. The lake is always sub-Tahoe cold, but it’s refreshing. 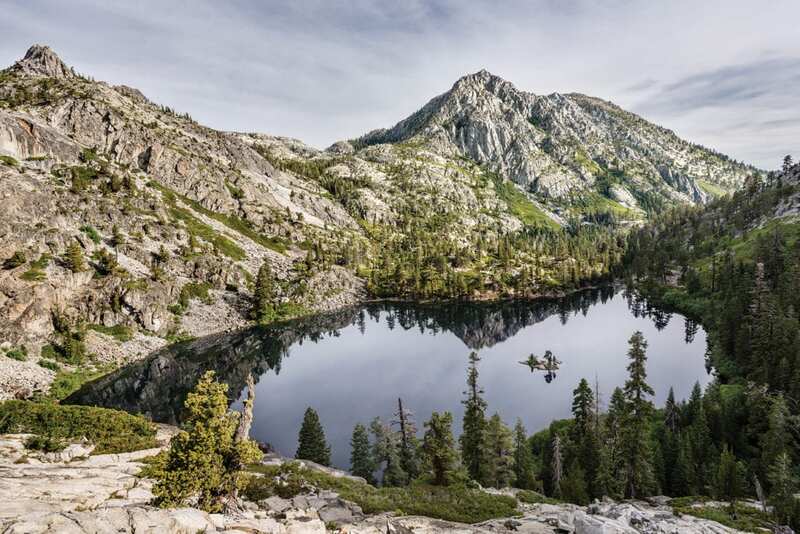 For those looking to trek farther, keep south on the trail another 3-plus miles to Fourth of July Lake, a spectacular alpine oasis surrounded on three sides by towering granite peaks. In the winter, snowshoe or skin your way to the summit of Round Top Peak for majestic views and wide-open turns. Location: South of Lake Tahoe, south of Carson Pass and north of Ebbetts Pass. 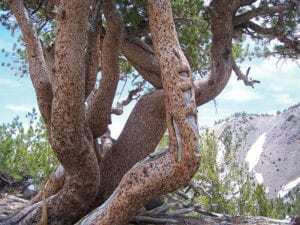 Split between the Eldorado, Stanislaus and Toiyabe national forests. Established: As part of the Wilderness Act of 1964. Greatly expanded in the California Wilderness Act of 1984. Recreation opportunities: Backpacking, camping, hiking, horseback riding. Permits: Overnight permits are required. Due to its popularity, permits are only available at the Carson Pass information station during the summer. Call the Amador Ranger District at (209) 295-4251 and the Carson Pass information station at (209) 258-8606 for details. No matter how you access Tahoe’s adjacent wildernesses—and what you do there—do so with the leave-no-trace principles in mind. Bury your excrement, try not to trample meadows, don’t cut trail, don’t feed the wildlife and leave the flowers. Bring a camera and you can take it all home with you—the vistas representing the vision of Howard Zahinser and the wilderness advocates who came before and after him, and everything those views hold. Enjoy the trails. Kyle Magin is a San Diego-based writer and editor and former editor of Tahoe Quarterly. His favorite wilderness is Mt. Rose for its enormous views of Lake Tahoe.